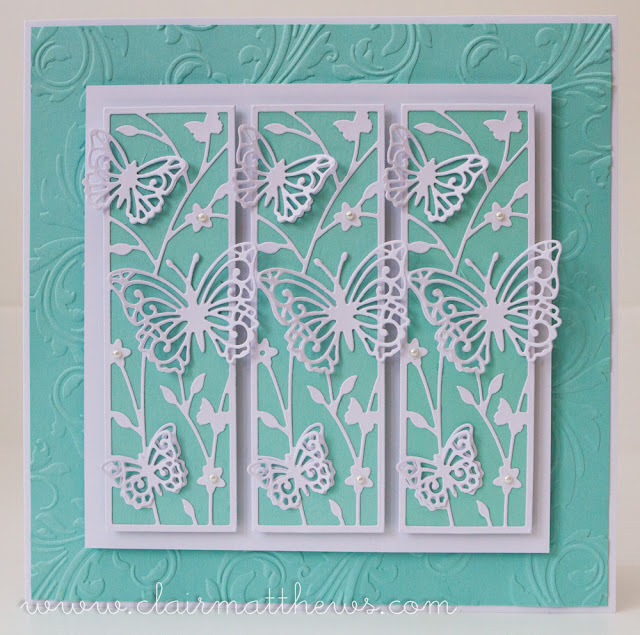 Clair Matthews: Craft Stash..new dies! 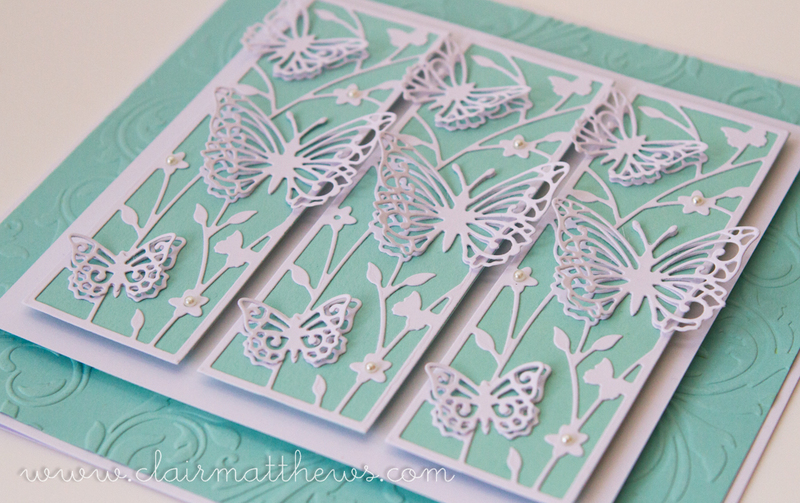 ...I do love being part of the CraftStash design team - They very generously sent me a bundle of the new release dies to play with & they're just beautiful!! 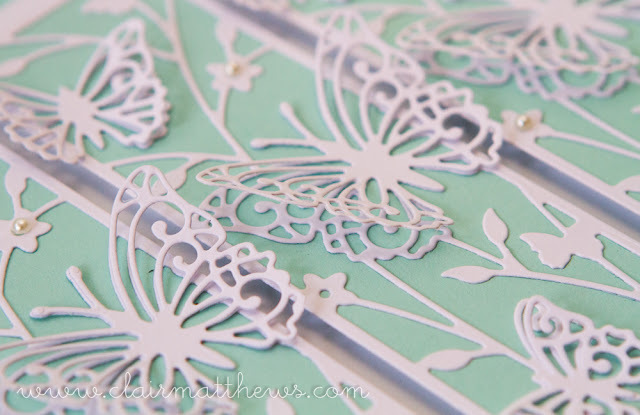 ..this large 8x8 card showcases the 'butterfly panel' die..
You know I love butterflies!